We’re already in the second week of our new series of Spotify playlists, which means it’s time for you to listen to In Our Headphones: Vol. 2! If you didn’t know, IGNITE will share 10 new songs on our brand new Spotify playlist each and every Monday. The playlist will be curated from song suggestions that we’ve received from students through our social media pages (with a few IGNITE staff picks sprinkled in). Along with the updated playlist on Spotify, we will post a companion article on our site to share and discuss the new track list (this is the second, hence Vol. 2). Once again, a big thanks to all of you that sent in your song suggestions. Your great taste in music made choosing only 10 songs super challenging! Scroll down to listen to the playlist on Spotify! This song was an instant hit when it released on Nov. 3, going on to break Spotify’s global, single-day streaming record for a female artist with 8.2 million streams on Nov. 5 and then again on Nov. 6 with 8.5 million streams. It’s no wonder why, this track is a rare treat of post-relationship positivity. Ariana refers to three of her ex-boyfriends by name, and literally thanks them. She acknowledges that she’s better for having been with them, but now she’s found someone else: herself. This is a refreshingly mature take on the subject matter that usually breeds songs filled with anger, sadness, and frustration. As for the music itself, it sounds how you might expect a big budget pop song to sound. The beat is extremely polished but also simple. There’s a deep funky bass that’s slightly distorted, with a sparse thumping drum to round out the overall rhythm (super satisfying in a nice pair of headphones, by the way). Layered over that is a dreamy synthesized keyboard that dances gracefully around the outer edges of the song. It’s positioned perfectly so as not to take away from Ariana’s angelic vocals. If you have fond memories of Britney Spears and Eminem in their heyday, then this song is for you. Charli and Troye are nostalgic for the late 90’s and use the gimmick of naming off pop culture references from the era quite well. We’re reminded that Nike Airs were the coolest shoes on the planet and people put discs into a machine to listen to music. They were called CDs. Weird. There’s a super hollow bass to nod along to while you relish in the sweet sound of clapping hands (even if the “hands” are digital, I still love them). Both Charli’s and Troye’s vocals are heavily altered under a thick layer of effects. 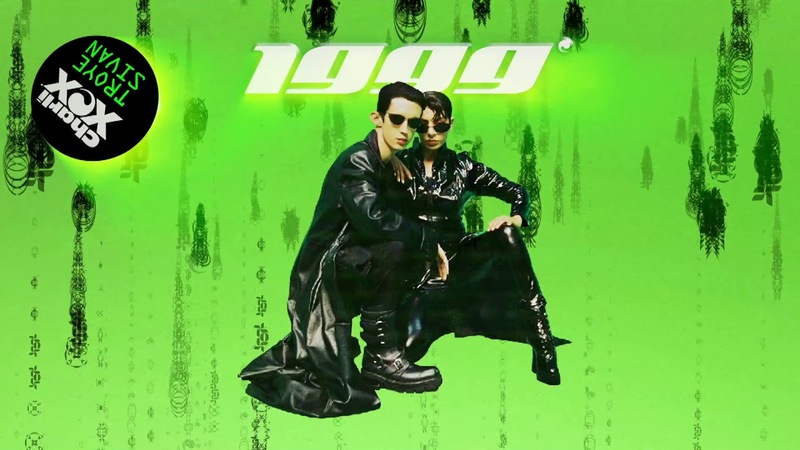 The whole combination makes for a catchy pop anthem for everyone who’s old enough to remember the year 1999. The first 20 seconds of this song transport me to a distant void in an alternate dimension… But then both Ella and her beat suddenly jump in and I snap out of it. Her voice and delivery have a certain confidence, a certain swag, that it quickly becomes a welcome shift from the intro. Right alongside her singing is an electric keyboard that carefully rides the bass. Once you’ve processed all that, you realize there’s been this slapping percussion in the background all along. It sounds kind of distant, like it’s coming from the next room. 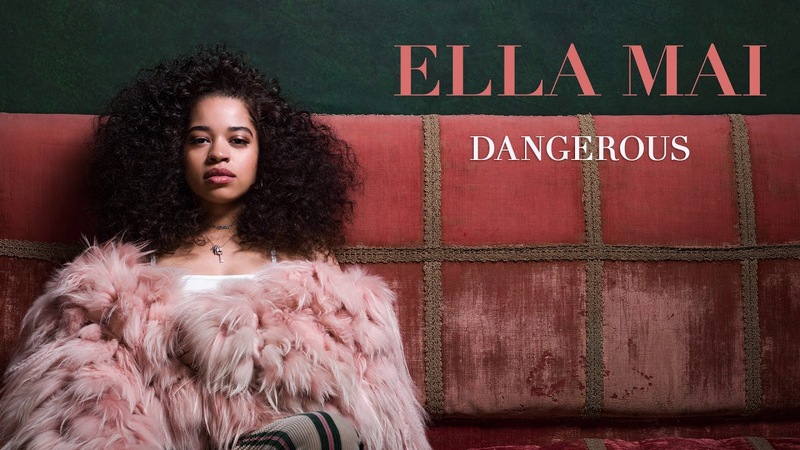 Ella harmonizes with samples of her own voice in the chorus and it adds a nice layer to the track. This song was teased at for a while now, so when it finally dropped fans rushed to listen. Unfortunately, I don’t speak Spanish, so I can’t say much about the lyrics. From what I gather though, both Drake and Bunny are real romantic gentlemen who love their girls very much (sorry if I totally messed that up). 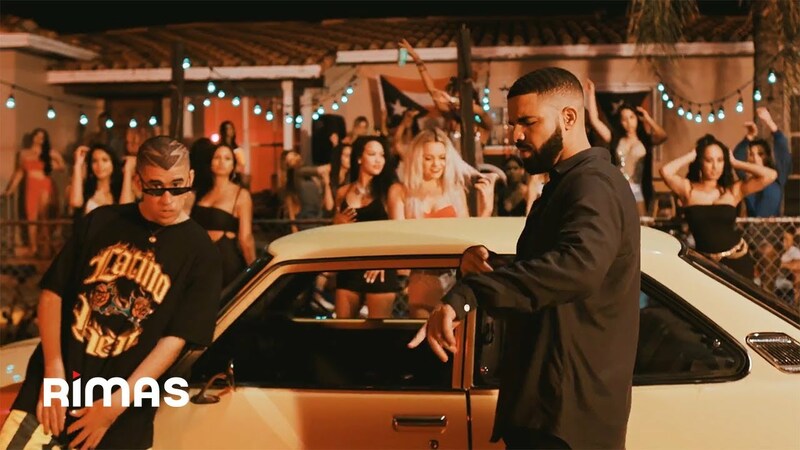 A lot of you might be surprised to hear Drake sing entirely in Spanish, but he’s actually done this before on a Romeo Santos track in 2014. Though, I think MIA will be a much more successful attempt for him. Musically, the song is kind of minimal for a Latin dance track. There’s a sort of faint synth sound and a prominent kick-drum that thickens up in a few spots for extra effect. And if you listen closely with your headphones, you can hear a funny sounding voice sample in the background. It vaguely reminds me of something Timbaland would include. You can’t go wrong with that. I don’t normally listen to Sam Smith, so my first thought upon hearing this song is, “Damn, this dude has a nice voice.” Like, wow. No wonder so many people love him. What a great chorus too, with an appearance from our Canadian girl, Jessie Reyez, lending her voice as well (she even grants us a cute unexpected chuckle in the background for fun). The combined rhythm of the bass guitar, bongos, drum machine, and hi-hats creates an impressive force that effortlessly propels the song forward. A clear, but reserved use of a piano is a welcome addition to the atmosphere, playing a single note at a time for effect. There’s also a cool fader bringing the song in and out of the background. It gives me subtle Daft Punk vibes. I dig it. This song makes me feel like I’m being awakened from a dream in the nicest way . I’m not mad to start my day with this slice of friendly vibes. Despite the cheery vocals and vibrant piano, the lyrics are slightly sad. But they’re also kind of happy. I think these mixed emotions are an accurate portrayal of what it’s like to live an introverted life. I don’t know about you, but I’m noticing an unintentional trend of positivity going on with this week’s playlist. What a happy coincidence. Madame Gandhi’s message is about striving to be your best self so that you can be of service to the people and the world around you. She cites the women’s suffrage movement from the 1920s, the Indian independence movement from the 1940s, and the Nigerian independence movement from the 1970s as inspiration to become a better global citizen. Yeah, the song is political but not only is it relevant to current international affairs, it’s perfect for anyone who just wants to hear a dope song with a bangin’ beat. There’s an intentional African influence to the entire sound here. The drive of the heavy tribal drums is contagious and they get an unexpected solo at around two and a half minutes in. Aside from that, Madame Gandhi’s gentle singing voice is a nice contrast to her powerful message. Press ‘play’ and a steady climbing synthesizer builds the sonic space around you before the drum machine kicks in. At the same time the vocals, deliberately chopped and distorted, enter the room and repeat themselves throughout most of the track. That’s okay though, ’cause the words are indiscernible and they sound more like another instrument strategically added to the mix. At the halfway mark, the drumming comes in and quickly builds alongside a pleasant acoustic guitar. Together they reach a climax before dropping back down to the familiar rhythm from before. Once the three-minute track is over you will have been reborn into the world with a bright new perspective. You’ll appreciate the little things, like breathing or blinking. Okay, maybe not. But it’s sure to put a smile on your face! 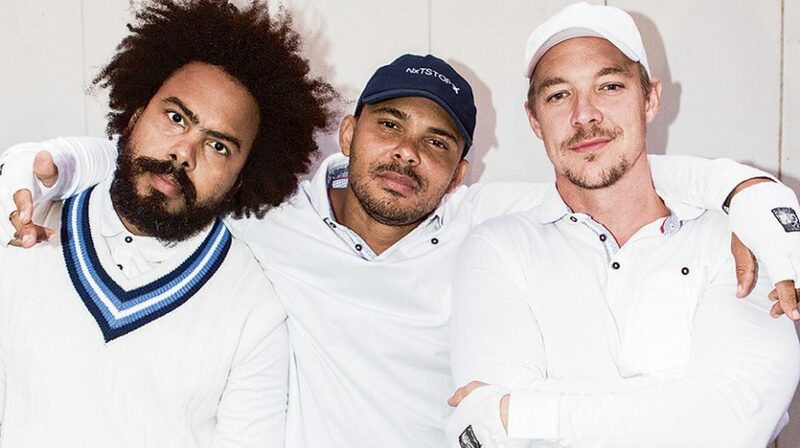 Major Lazer does a great job of creating beats that sound unique. I feel like that’s so rare with mainstream music lately. There are so many layers to this track, I’m not even sure I can identify them all. It’s one of those songs that reveals a bunch of little things going on in the background when you listen with headphones on. Whether you’re walking down the street or just riding the bus, the cool “tick-tock” sound of a guitar being plucked is conducive to marching somewhere. Come to think of it, even the vocals in the chorus have a similar effect. Another interesting element to the song is the various types of percussion that change throughout, and none of them sound like a typical drum. Samples are used liberally here to create different tapping noises. Finally, you have synths and arpeggios playing together with chimes during both the bridge and chorus. This song is perfect for dancing alone around your house while (hopefully) no one is watching. It’s easy to surrender to the gentle charm of this masterpiece. It’s such an accessible brand of funky lounge music. Well, it’s actually so much more than that; I’m just not articulate enough to do right by the true essence of a song like this. I feel kind of loose while I listen to it, but the instrumentation here isn’t like that at all. The bass is tight, the guitar is on point, and the synth whines and glides with precision. On top of all that, the sound of Andrea Estella’s voice is so effortlessly seductive—a breathy whisper for my ears only. There is no inhibition here, but there’s nothing sinister going on either. This is simply what satisfaction sounds like. Listen to In Our Headphones: Vol. 2 now! Want more bops? Check back next Monday for In Our Headphones: Vol. 3.